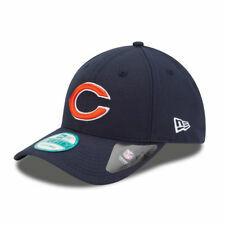 The Chicago Bears The League Cap from New Era features a curved peak and embroidered team logo. Chicago Bears team logo embroidered on the front . New Era flag embroidered in white to the left-hand side . This is aNew Era NFL Baltimore Ravens Logo Bobble Hat. Style: Folded Fitted Bobble. Team: Baltimore Ravens. Style Bobble Hat. Material Shell:100% Acrylic & Lining:90% Polyester 10% Woo. Colour: Black. 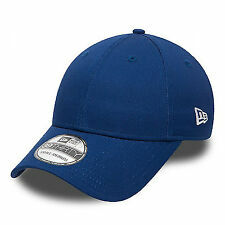 The Buffalo Bills The League Cap from New Era features a curved peak and embroidered team logo. Buffalo Bills team logo embroidered on the front . New Era flag embroidered in white to the left-hand side . Fully adjustable 9FORTY profile. Atlanta Braves’ 'A’ emblem embroidered to the front of the crown in raised white stitching. 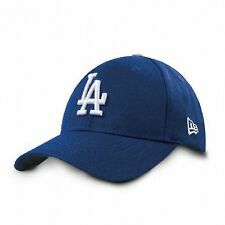 Back the Braves this MLB season in this team colour official The League supporter’s cap. Style Beanie. Material 60% Acrylic 40% Polyester. The Carolina Panthers The League Cap from New Era features a curved peak and embroidered team logo. Carolina Panthers team logo embroidered on the front . New Era flag embroidered in white to the left-hand side . New Era Pittsburgh Steelers The League Cap - Black. The Pittsburgh Steelers The League Cap from New Era features a curved peak and embroidered team logo. Pittsburgh Steelers team logo embroidered on the front. This is aNew Era NFL Detroit Lions Logo Bobble Hat. Style: Folded Fitted Bobble. Team: Detroit Lions. Style Bobble Hat. Material Shell:100% Acrylic & Lining:90% Polyester 10% Woo. Colour: Blue. United Kingdom. Introducing the New Era NBA 9Forty Miami Heat The League Cap, Black.In all-over black, this Miami Heat NBA The League play offs cap is a subtle supporters’ style. Fully adjustable 9FORTY profile. 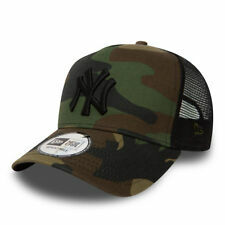 New Era flag embroidered in contrast white stitching to the left hand side. Cuffed knit with an embroidered team logo and stitched New Era flag. Soft material. Material: 100% Polyester. ENGINEERED FIT CUFF. Bobble winter knit beanie from the NFL SIDELINE collection 2018/2019. Knit with an embroidered team logo and stitched New Era flag. Soft material. Material: Outer material: 100% acrylic. The Miami Marlins The League Cap from New Era features a curved peak and embroidered team logo. Miami Marlins team logo embroidered on the front . New Era flag embroidered in white to the left-hand side . Now you can show your support for them with this official replica of the on-field cap worn by the players. San Diego Padres team logo embroidered to the front . New Era flag embroidered in white to the left-hand side . Bobble winter knit beanie from the NFL SIDELINE collection 2018/2019. Knit with an embroidered team logo and stitched New Era flag. Soft material. Winter knit beanie from the NFL SIDELINE collection 2017/2018. Cuff knit with an embroidered team logo and stitched New Era flag. Soft material. The Baltimore Orioles League Cap from New Era features a curved peak and embroidered team logo. Baltimore Orioles team logo embroidered on the front . New Era flag embroidered in white to the left-hand side . NewEra NFL 2018 On Field Sport Knit Bobble Hat. Team colours, with the Denver Broncos, the New Era, and the NFL Cuff Logos.The Team title across the hat, and the team colour bobble. Style Bobble Hat. Bobble winter knit beanie from the NFL SIDELINE collection 2017/2018. Knit with an embroidered team logo and stitched New Era flag. Soft material. NewEra NFL 2018 On Field Sport Knit Bobble Hat. Team colours, with the Detroit Lions, the New Era, and the NFL Cuff Logos.The Team title across the hat, and the team colour bobble. Style Bobble Hat. The Washington Nationals Cap from New Era features a curved peak and embroidered logo with a contrast of colours between the cap and its logo. Curved Peak. We're rated 5/5 for service! When will my order be dispatched?. NewEra NFL 2018 On Field Sport Knit Bobble Hat. Team colours, with the Atlanta Falcons, the New Era, and the NFL Cuff Logos.The Team title across the hat, and the team colour bobble. Style Bobble Hat. New Era flag logo on the side. Curved peak. We're rated 5/5 for service! With over 20 years experience, Urban Surfer strives to be your first choice in skate, surf, snow and lifestyle clothing, shoes and accessories.